Welcome to the Middle Common Room (MCR) of St John’s College, Oxford. If you are a graduate student starting in 2018, please see our Freshers page for more information. The MCR refers to both a place – our wonderful and spacious Common Room building – and also the lively community of graduate students within the college. Our MCR building is located on site in St. John’s College, and it’s here that we host many of our varied and fun events, organised by the MCR Committee. The MCR is also a place just to hang out, catch up with friends, and have a cup of tea. Aside from the social aspects of the MCR, here you can find other services such as welfare provisions, organisation of accommodation for graduates after their first year, and representation of the graduate body at a College level. 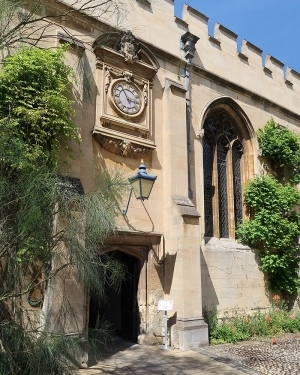 In short, the MCR encompasses both a place and group of people here to make your time at St. John’s – and at Oxford – as unforgettable as possible.